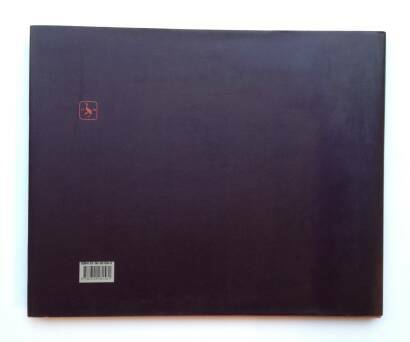 Comments: Linen hardcover under dust jaket, 260 x 320 mm. First edition, 1996. Black & white photographs. 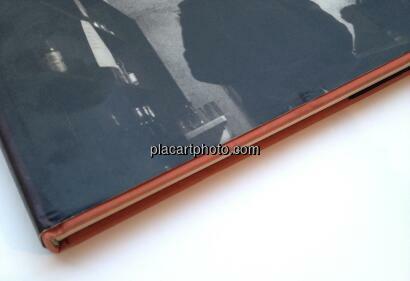 Included in the Photobook by Parr & Badger, vol. 2, p.81. Some wear on dust jacket but the rest is fine. Beautiful reproductions. Rare first edition. 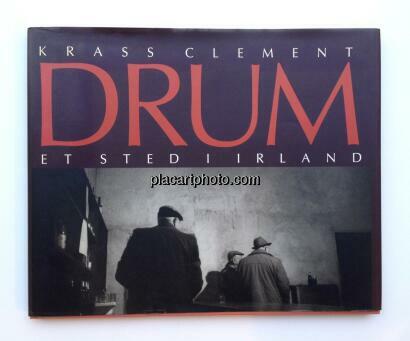 Photographed in a small pub in Drum, Ireland, on a single evening and with only a few rolls of film (and a rumored "five pints of Guinness"), Krass Clement (born 1946) created one of the most important contributions to the contemporary Danish photobook. 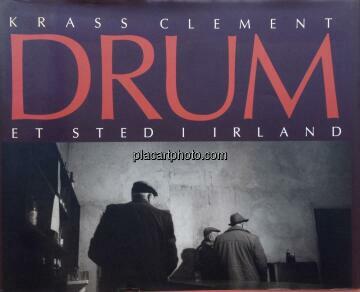 His 1996 Drum opens in a darkening and foggy town, with a workday ending and some men heading off for a drink. Through subtle shifts in focus and a masterful filmic sequencing, the book comes to concentrate on one principal character in the shadowy pub: a hunched, weather-beaten old man sitting alone with his drink. Drum is a quiet, dusky meditation on community, the outsider, alienation and the terrors of being alone.